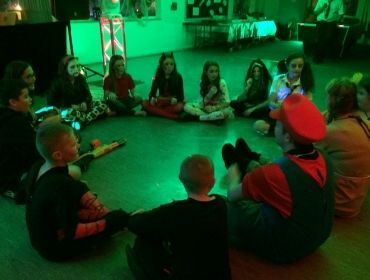 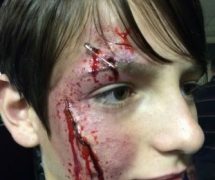 On Thursday 30th October 2014, during AberdareCommunity School’s Extended Provision session, a Halloween disco was held forthe regular attendees of Extended Provision along with pupils of year 7. 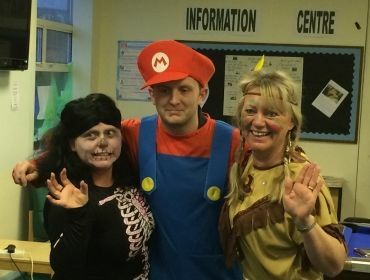 The pupils (and staff) were given the option to come alongin fancy dress plus the opportunity to participate in such activities as applebobbing, theatrical make up sessions, cake decorating and party games. 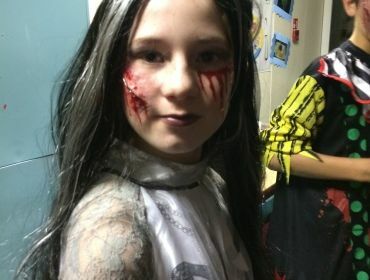 The hall was decorated in a Halloween theme and the youngpeople turned up in some fantastic Halloween fancy dress costumes. 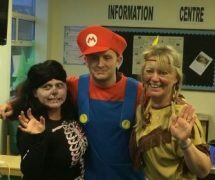 YEPS staffalso joined in with the fancy dress element of the night. 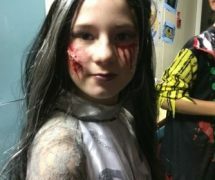 The young people who took part in party games such as limboand pass the pumpkin were rewarded with a decorated pumpkin. 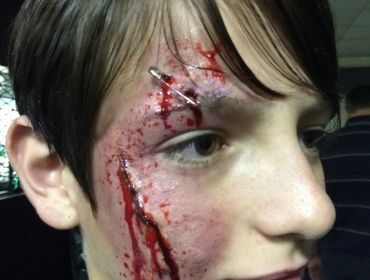 The theatrical make up sessions were very realistic andextremely successful. 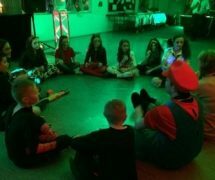 The night was a resounding success with over 30 young peopleattending and it is already being planned to be held again next year!